Today our group enjoyed a profitable start at Caesarea, located on the Mediterranean coast, capital of Judea during New Testament times. There is so much to see there. Leaving there we ascended Mt. Carmel, one of my personal favorites because so many biblical locations can be viewed from there. There was considerable haze in the air, so that did not lend itself to good photos. We then proceeded to Megiddo, a very strategic city formerly occupied by the Canaanites (among others) located on the international trade route which connected Egypt to Mesopotamia. Solomon made this one of his fortified cities. Tel Megiddo. Photo by Leon Mauldin. Megiddo was also an important site during the Divided Kingdom period in the days of Ahab, king of Israel. Ahab accomplished an amazing engineering feat of tunneling through solid rock down to the water supply. Our group walked through the tunnel today. 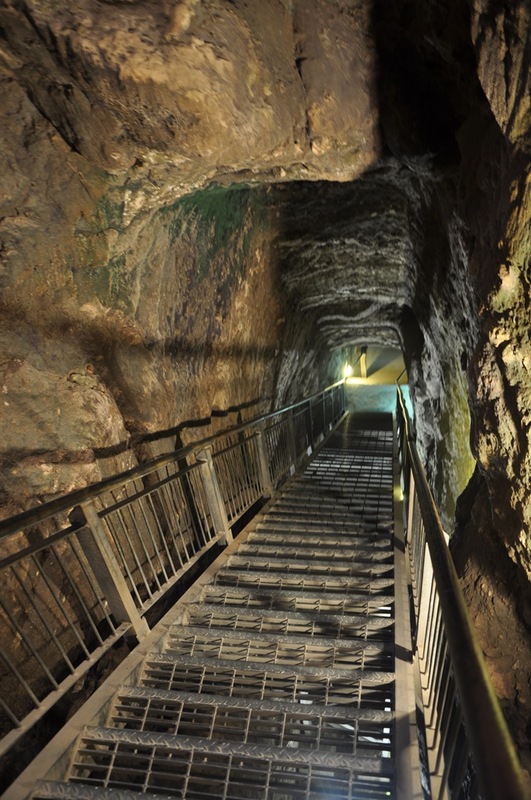 Ahab’s water tunnel at Megiddo. Photo by Leon Mauldin. We plan to post more tomorrow. Click images for larger view. This entry was posted on Wednesday, October 16th, 2013 at 12:54 PM and is filed under Bible History and Geography, Bible Study, Israel, Old Testament, photography, Travel, Uncategorized. You can follow any responses to this entry through the RSS 2.0 feed. You can leave a response, or trackback from your own site. Nice shot of the tunnel.